I empathize with the business owner today who is trying to understand the ever changing information technology (IT) world. Particularly right now when the growing use of the words ‘cloud’ and ‘cloud computing’ are creating confusion even inside IT departments, never mind with the business owner who is trying to improve her business. 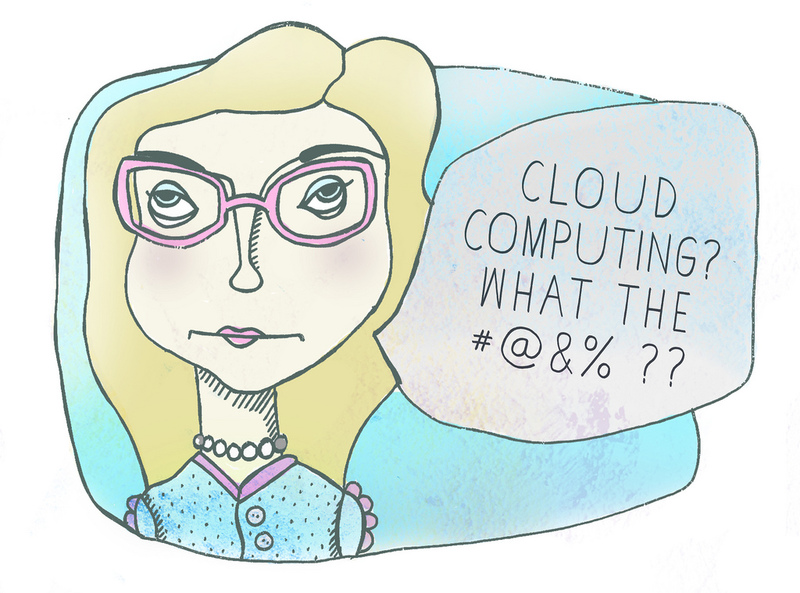 Personally I find that confusion disappointing, because the words ‘cloud computing’ underscore a mini revolution that is going on in the geek world. The revolution is changing the value proposition of many computing hardware and software solutions that small and mid size businesses (SMBs) need in the modern business world. If you were looking at your IT options last year and said, “that is too bloody expensive, let’s think about it next year”, then you owe it to yourself and your company to understand cloud computing. The cost of required tools, from servers to email infrastructure to invoicing, have become a whole lot cheaper. The biggest barrier to understanding this cloud world is that the word ‘cloud’ is being used so broadly that it really has lost all meaning. That problem is analogous with the problem around the word ‘engineer’. My friend James is a petro-chemical engineer who wears a ring provided to him from APEGGA . My brother-in-law Allan works for a Canadian railway company and drives a train. Both legally call themselves engineers, but if Allan were to tell you he is an engineer, without saying anything else, you would most likely have the wrong impression. The exact same problem plagues the word ‘cloud’ at the moment in the context of the internet. Most marketers or service companies using the word ‘cloud’ are providing a service to you from somewhere on the internet, as opposed to selling you software or hardware to install and use inside your own building. There are many examples of this method of service delivery that pre-date the use of the use of the word ‘cloud’ in this context. Google’s search service and Hotmail’s email service are two examples. But today companies are selling (or giving away) everything from disk space to hotel space, and calling it x-cloud-x, and this is creating a lot of confusion for consumers. In case that all sounds very underwhelming I need to reinforce that there really is a revolution going on in the computing industry, a revolution that is delivering positive financial benefits for consumers. In his book The Big Switch, Nicholas Carr draws a great analogy to the electrical industry. Before the ubiquitous power grid, if you wanted power in your house you needed a generator in your back yard. This was of course costly and maintenance heavy. When Edison came knocking with power from the grid, it was not only cheaper for the home owner, but it enabled industry in ways no one could have dreamed of at the time. 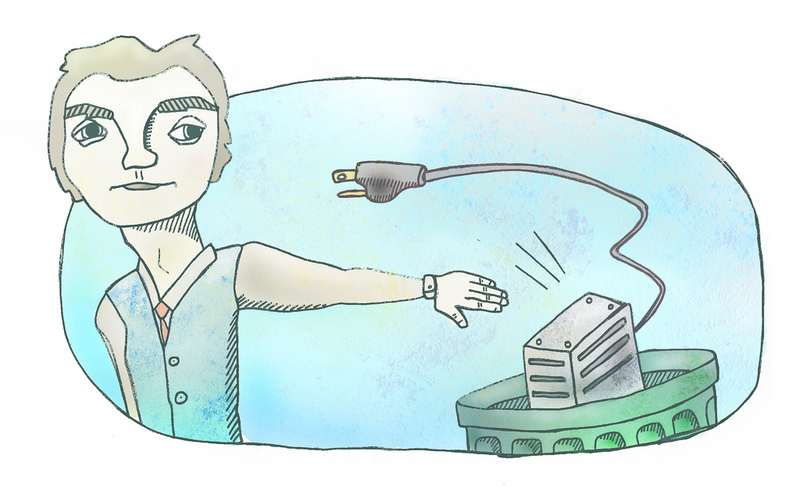 In your mind now switch the terms ‘electrical grid’ with ‘computing cloud’. Those services you have been running in your back yard – you can now buy a lot cheaper from the computing cloud. Need email and collaboration services: Google Apps can do that. Need 500 gigabytes of disk space: Amazon S3 has it. Need another server: Rackspace will deliver. Want to get rid of Customer Relationship Management (CRM) software from your sales team’s desktops: Solve360 does it. And like the power grid, all of these services come with a ‘pay for what you use’ model, you are no longer need to install or pay for long term infrastructure. With Apple’s© iCloud, I feel obliged to mention how that service fits into this classification scheme. iCloud for the end user is providing storage and backup services. So from that perspective is a cloud infrastructure service (IaaS). For developers, iCloud offers services that make developing better and easier, so it has platform characteristics (PaaS) as well. Infrastructure (aka Infrastructure as a Service, or IaaS) for computing infrastructure like servers and disk storage. Amazon EC2 is a server on demand service that fits this category. Platform (aka Platform as a Service, or PaaS) for the combinations of infrastructure and special software like databases and development tools that are needed to build and host applications. Unless you plan on developing software, your business probably doesn’t care about this category. A good example of PaaS is Heroku, which is a stack of tools for software development tools that make it relatively easy to build and scale a software application. Software (aka Software as a Service, or SaaS) for applications being delivered via the internet. Some well known examples here are Salesforce for CRM, Freshbooks for invoicing and Mailchimp for newsletter mailout. Is this something I should use in my business? If you run an SMB or its IT group, the answer is very likely yes. The value proposition is simply too good to ignore, and your competitors are probably getting an edge in operating costs and operational efficiencies if you keep your eyes closed. Maybe you are already running some of your stuff in the cloud (like mass emails on Mailchimp or advertising on Google) and just never thought about how this type of technology could be used in other parts of your business. Most cloud computing services simply cost less than rolling out something inside your office walls. But the value comes in other ways too: you can get at your software from anywhere, usually stuff is backed up for you, and software updates just happen in the background as part of the base cost. If you’re launching a start-up and don’t have any decent IT infrastructure yet, then you have an opportunity to get world class infrastructure in place in days, rather than weeks, for a fraction of what it would have cost in 2001. I’ll leave you with a list of cloud computing providers that many companies have trusted to provide the basic IT tools that almost every business needs. You can check them out to see how this stacks up against traditional inside-your-office type of infrastructure. This entry was posted in Cloud Computing on August 22, 2011 by robert@stratusforce.com.